This extremely popular 1200 x 800 elongated unit come styled in two fantastic and stylish colours – First, the Ocean Mirror finish carrying its reflective properties and, second, the classic Crystal White finish offering its clean and crisp tone. 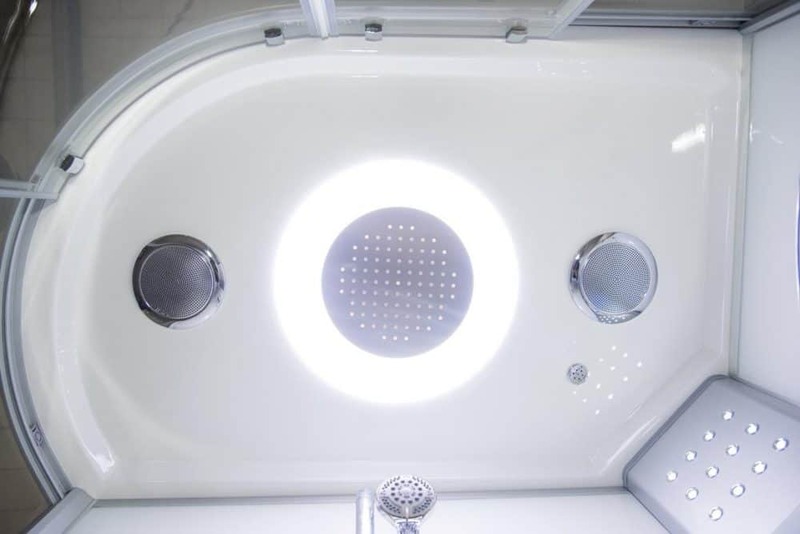 The stunning fully featured packed Clearwater steam shower also comes in a choice of either a Left or a Right handing, allowing it to fit into most bathrooms where a little extra space is desired for your luxury shower. One of our most popular units, all the favoured and most well-loved features can be found in this units modern and seamless design. 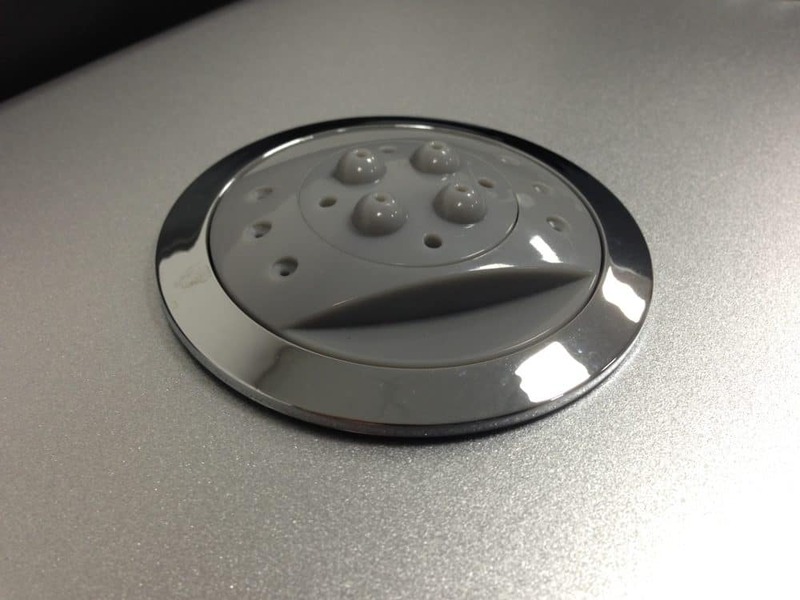 Bring your bathroom to life with the Bluetooth connectivity feature to effortlessly stream your playlists, take your showering pleasure to the next level with the large overhead monsoon shower or let Vidalux’s industry-leading, quick start steam generator delivery all the wonders of the spa at just a touch of a button. It’s easy to think that the captivating modern design, complemented perfectly with the rot-proof wood effect freestanding stool, illuminated majestically by the Long life LED column lights or the top colour changing chromotherapy light are the limits to the shower yet there are plenty of amazing features inside and out. 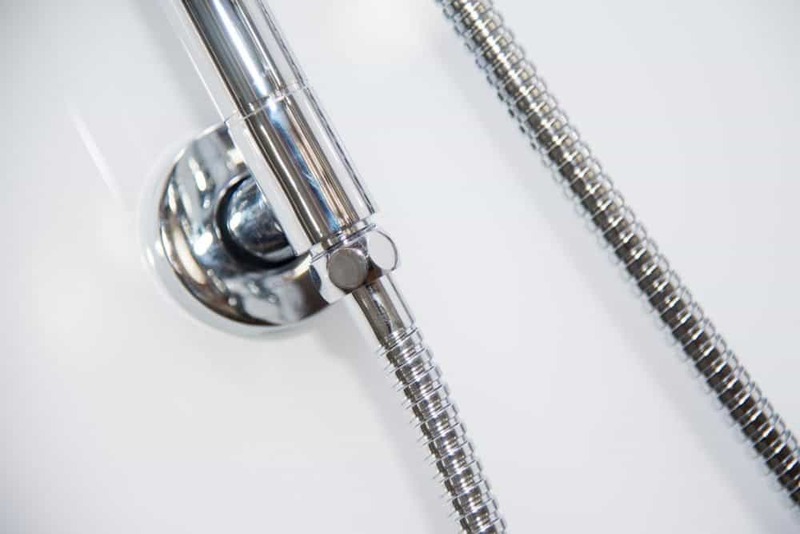 The high-quality thermostatic shower valve with anti-scalding protection, the sleek innovative touchscreen control panel or the shampoo shelf, retainer and towel rail been just a few examples of these wonderful features. 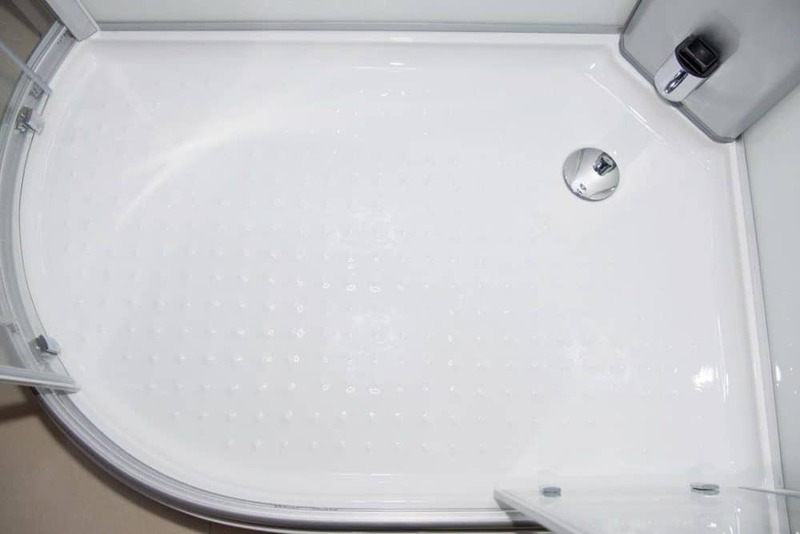 3 larger sized multi-spray massage jets (30 sprays in total) and an aromatherapy infusion function allowing you to combine fragrance and essence oils, soothing your mind and body like you have never experienced before are just a few of the other amazing features that can be found in this wonderful shower unit. 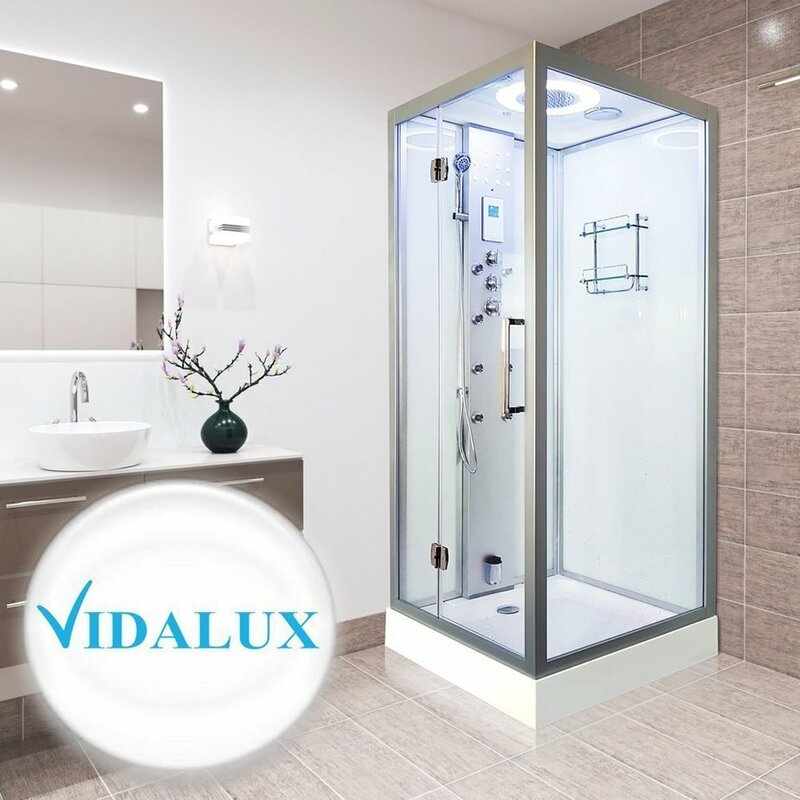 All this in conjunction with Vidalux’s dedication to delivering the best quality and aftercare, if your bathroom has a little more room and you only want the best quality, health and enjoyment for you and your family, you would have to go a long, long way, to find a better, more capable steam shower than the Vidalux Clearwater 1200.